Our new Ninja Warrior Dome is an 8 player sweeper arm game wich will challenge your stamina, agility and reactions! 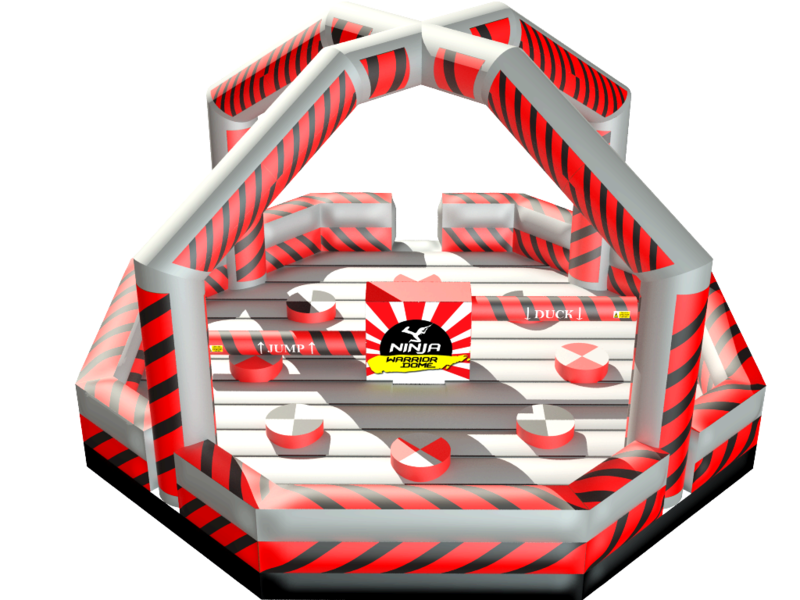 The game is housed in a 30′ x 30′ octagon inflatable, with 8 podiums for your participants. Included is one of our trained attendants to operate the unit, there is a variable speed control on the console that increases or decreases the speed of the automatic program, making it as easy or difficult as you wish! Ninja Warrior is a fun game for any event large or small. This game will be the talk of the party! !